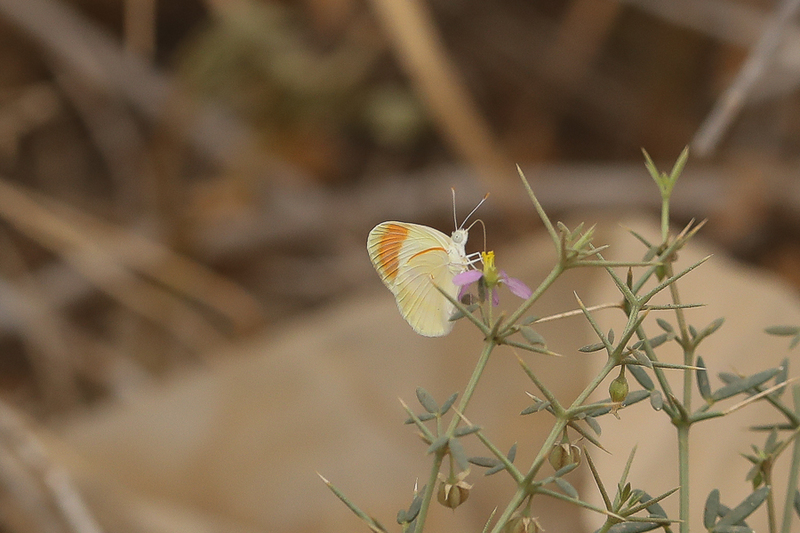 The Small Orange Tip Colotis evagore evagore is also known as the Desert Orange Tip and is the smallest of the Arabian orange tips and this subspecies is endemic to Saudi Arabia. It is found only in the driest parts of southwestern Arabia where it is locally common. 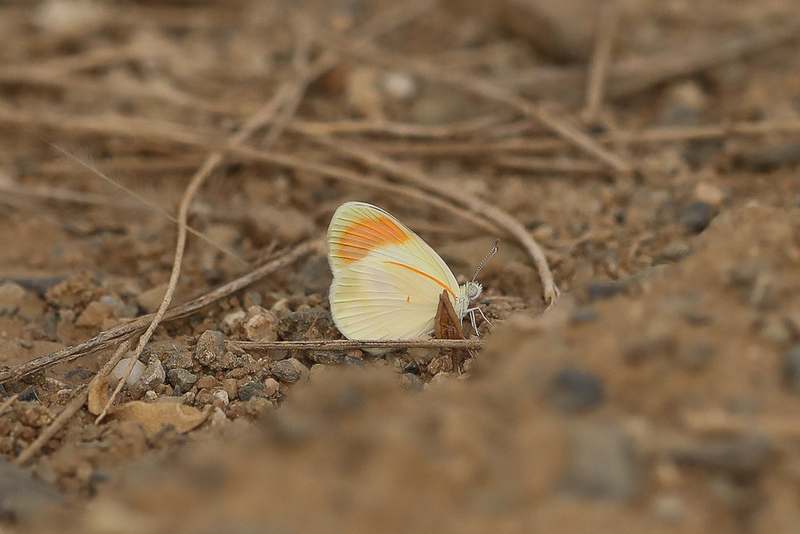 It is principally a north-African species and is a very active butterfly, resting only briefly to feed so is difficult to approach for photographs. The wingspan is 28–35 mm in males and 28–38 mm in females with adults flying from February to August.